The Vikings have reportedly claimed tight end Marqueis Gray and offensive tackle Mike Harris during the waiver period. Daniel House explains the details about both of these players. The Minnesota Vikings were active on the waiver wire and added two players to their roster during this period. The team has been awarded Marqueis Gray through the waiver wire. Gray, played quarterback at the University of Minnesota and later fullback and tight end with the Cleveland Browns and San Francisco 49ers in the NFL. 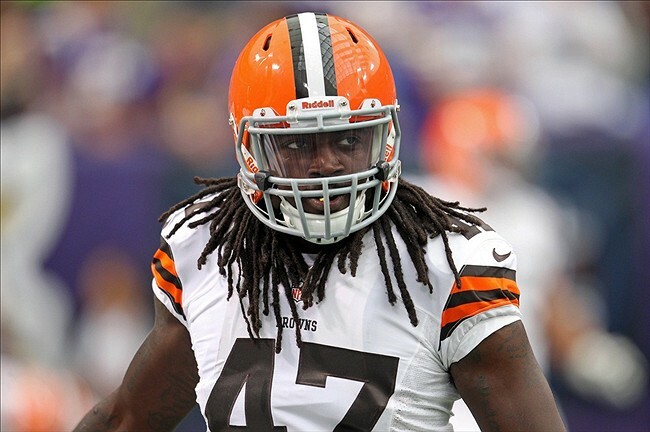 Gray was released on Saturday during the Browns final roster cuts after spending the 2013 season working under Vikings offensive coordinator Norv Turner. Gray can provide the Vikings with an additional tight end or fullback and can be a potential emergency quarterback, as well. It's official I'm a Viking!! I'm coming come thank you lord!! According to several reports, the Vikings have also claimed offensive tackle Mike Harris off of waivers from the San Diego Chargers. He has experience at both guard and tackle and fits the 'swing' tackle mold the Vikings staff was searching for. Harris played for Vikings offensive coordinator Norv Turner in 2012 and has experience in the offensive scheme. No official word has been made on this claim, but it appears the team was awarded Harris during the waiver period. Running back Joe Banyard cleared waivers and has been placed on the practice squad, along with guard Jeff Baca, who also has reportedly been selected to the the same group. According to Darren Wolfson of 1500ESPN, all 23 players the Vikings released yesterday have cleared waivers. The team waived linebacker Larry Dean and offensive tackle Austin Wentworth in order to clear room for both Marqueis Gray and Mike Harris.